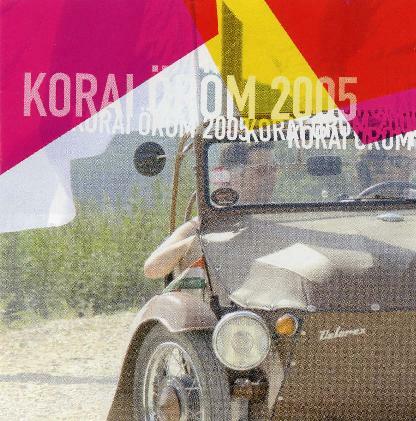 It has been a long time since the mostly instrumental Hungarian band Korai Öröm has released a studio record. Burnt Hippie Recordings, here in Denmark, released their last one, Sound and Vision 2002 on vinyl. This is the bands seventh studio effort since the debut cassette tape in 1993 (later released on CD) and shows the band with quite a new, maybe more mainstream sound at times, but very much the same cool Korai Sound. The band never have any song titles on their CDs, even though they have names for all the songs (otherwise you could never refer to or make a set list for a concert). So here we have track 1, 2, 3, etc, up to 8. The sound is probably the best the band has ever had with the keyboards playing a more prominent role in the sound. The opening track is a very groovy song, almost jazzy in nature. The band features 9 musicians. The first two tracks feature a guest female vocalist. This is certainly some of the best stuff the band has made. The groove at the end of track 2 is totally killer and it is great the way it segues into track 3, which starts with some flute and a cool keyboard before the heavy guitar line and percussion kicks in. Track 4 begins very spaced out as all the instruments slowly filter into the sound. It is great to hear a lot more lead guitar work on this CD than the last few. Track 5 begins with a Jews harp and an electronic drone and then some didgeridoo as well and is a sort of interlude track that leads into track 6, which is a very catchy track with an almost ska like guitar. Track 7 is some sort of strange pop disco gypsy thing. I did not get this one at all. Track 8 features a sitar and some cool flute playing and an awesome track develops after the strange Hungarian vocals at the beginning. Visit the 1G Records web site at: http://www.1grecords.hu.